Six months after Hurricane Katrina, you return from abroad to your childhood home in hopes of finding your missing grandfather. Believed to have been washed away during the storm, he has not been heard from since, but the signs point to a more sinister plot. Your return trip to New Orleans hasn’t gone at all as planned, beginning with you waking up on the wrong side of a body bag zipper in the city morgue, trying to remember how you arrived. 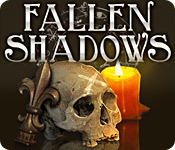 Put the pieces together in Fallen Shadows! Discover yourself in the shadows!